The hotel is located just 5 minutes from the old town of Marbella and 35 minutes from Málaga-Costa del Sol (AGP) Airport. Located near most of Marbella’s golf courses and the leisure and shopping areas of Puerto Banús. We have the most exclusive beach club on the whole Costa del Sol. A privileged location with magnificent panoramic views of the Mediterranean Sea. Come and enjoy a true VIP experience. 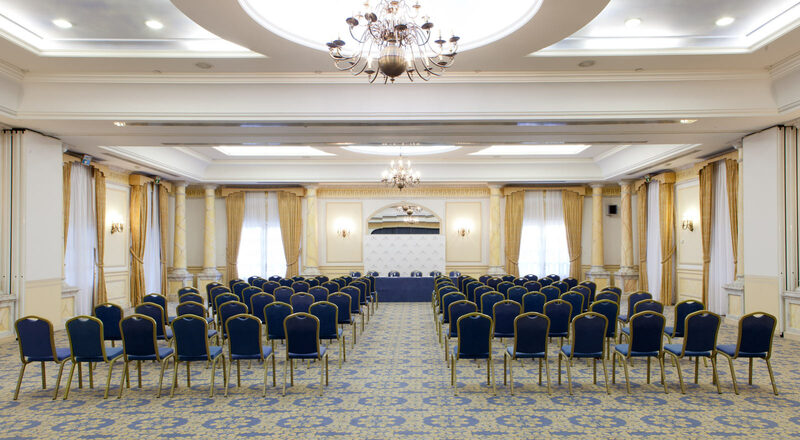 Indoor event rooms with natural light, open-plan spaces with optional panels and capacity for up to 350 people. Outdoor areas, terraces and an exuberant tropical garden in the heart of the hotel. More than 10,700 ft2 to host your corporate or social events. Our team of professionals will monitor your requests from Day 1, guaranteeing your event’s success. We will design a personalised event for you, taking care of every single detail. Do you need more reasons to hold your event at Hotel Los Monteros?